Hi, I’m Staff Sergeant Nick Bannister and I joined the Army as a Royal Engineer Apprentice in 1998. During my career I’ve trained as a Mechanical Engineer, as well as operating as a Combat Engineer in many theatres of operation. I’ve spent most of my career delivering infrastructure support as a tradesman and as part of a management team. This has given me the opportunity to test my skill set and adaptability in some of the most demanding environments the MOD has to offer. The British Army Training Support Unit Belize (BATSUB) is located at Price Barracks which is approximately nine miles outside Belize City. We share the Barracks with the Belizean Defence Force (BDF). Although BATSUB was minimised in 2011 there has remained a six-man team of British soldiers who facilitate training for British and international forces. The assignment to BATSUB is a 12-month unaccompanied tour due to the lack of educational and medical facilities available since the drawdown. Me and my colleague, Staff Sergeant Nanda Wanem, are responsible for the maintenance and continual improvement of the MOD infrastructure here in Belize on behalf of the Collective Training Group (CTG). We currently employ 41 local civilian staff, ranging from plumbers and electricians to finance and resources personnel. 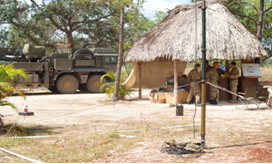 DIO currently maintains 25 Service Family Accommodation quarters, enough accommodation for 600 troops on exercise and various associated buildings, as well as three satellite camps in the Baldy Beacons area of Belize. We are also responsible for wholesome water production, utilising two local boreholes and the sewage treatment facilities on Price Barracks. Each day presents a variety of challenges to me and my team. Constraints of resource availability in Central America and reduction in manpower mean that even the slightest of issues can have a large impact on delivery. As with most of our overseas locations, power and water production are issues. There is a Belizean supply, but this is not necessarily reliable and during the hurricane season can be switched off without warning. It is planned that DIO will take control of the estate here in Belize in April 2015. 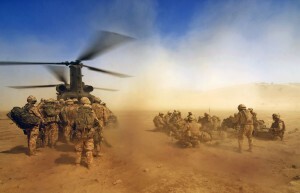 Our commitment in Afghanistan, a very different environment to Belize, has meant that jungle training has not been a high priority and many hope that the drawdown of troops in Afghanistan will mean that Belize will again be utilised to its full potential. If this is the case, then DIO will have a fantastic opportunity to develop the estate and associated training areas in a country that provides some of the best training conditions I have seen during my career. The environment, people and the unpredictability of day to day operations are part of what makes this job so exciting and ultimately satisfying. Coupled with fantastic support from the team back in Warminster, it has made this part of my career one of the most enjoyable to date.